How Accurate Was Your Breathalyzer Test? If you have recently been arrested for DUI in Arizona? If so, chances are that the Arizona law enforcement officer probably administered a breath test or breathalyzer test to help determine the amount of alcohol in your body. When a person consumes alcohol, the body immediately absorbs the alcohol in the mouth, the stomach, and the intestines. The alcohol that you consume, quickly enters your blood. Once the alcohol enters the body, it quickly starts to exit the body; with each breath, some alcohol exits from the lungs and out of the body. The Arizona Law Enforcement use the breathalyzer as a means to help prove their DUI or DWI case against you. As you breathe, some of the ingested alcohol leaves your system through your breath. By design, this is the alcohol that Breathalyzers are ready to test. Breathalyzers test this exhausted alcohol from your exhaled breaths. To ensure accurate results of a breathalyzer test a person being tested must take a “deep lung air” sample, basically by taking a really deep breath and then subsequently exhaling the “deep breath” into the breathalyzer machine. After a person blows air into the Breathalyzer’s mouthpiece, a chemical reaction takes place which measures the blood-alcohol content. A breathalyzer is able to draw a very accurate reading of your BrAC or Breath Alcohol Concentration. 1. Proper Function of the Breathalyzer itself and 2. Human Operation of the Breathalyzer. Not much to the operation of a breathalyzer, however, operator error happens frequently. A Breathalyzer is only as accurate as the operator. Arizona Law Enforcement officers receive training in order to properly use and operate a breathalyzer; however, even with the best of training, errors do occur. These errors can lead to inaccurate breathalyzer readings, false arrests by Arizona Law Enforcement, and opens the door for our experienced DUI attorneys to challenge the very accuracy of the tests administered. A few of the many issues that can be challenged by one of our DUI experts during an Arizona DUI arrest include: The maintenance of the breathalyzer equipment, making sure breathalyzer equipment is periodically tested and calibrated, and challenging the operator use of said breathalyzer equipment. The breathalyzer operator turning the control on the Breathalyzer to obtain the correct reading is an important step in obtaining an accurate BAC reading. Operation of the breathalyzer equipment is crucial and human error can occur, especially in a case that is borderline 0.08 (The current legal level in Arizona). They peform maintenance of the breathalyzer equipment is to ensure accuracy. Like any machine, it must function properly in order to fulfill its intended use. A Breathalyzer is not as accurate as a blood test and Arizona Law Enforcement knows this. They will simply arrest you if you fail either a field sobriety test or a breathalyzer test. Once in custody, they will draw blood from you to get a more accurate reading of your true blood alcohol level. The alcohol is in the blood, so testing the blood will be more accurate. According to Alcohol Test Information, the results of a Breathalyzer can vary as much as 15 percent from the actual blood-alcohol concentration. There are many reasons for the variation, the main being that the Breathalyzer is measuring alcohol levels from breath as opposed to blood. The alcohol levels in the blood are a more accurate indicator of a person’s true blood alcohol level than what is delivers through testing done with a breathalyzer. Note: You may refuse to perform field sobriety tests when an officer asks. If you do perform the Field Sobriety Tests, the results WILL BE USED AGAINST YOU in your DUI case. Can You Fool a Breathalyzer Test? What’s your DUI-Q? 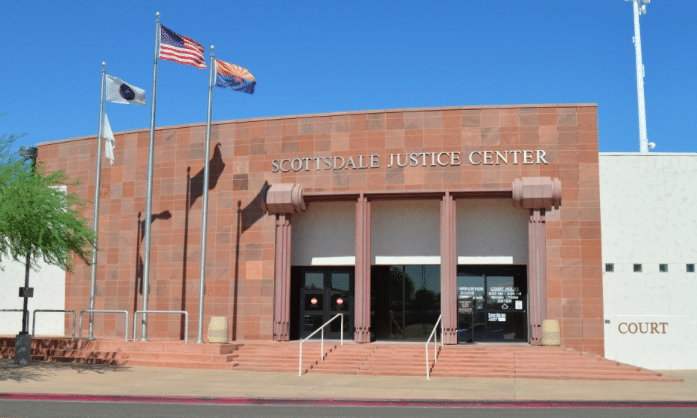 Is it actually possible to win an Arizona DUI case? Do I actually have a defense to beat my DUI?